iBall launched new affordable smartphone Slide 3G Q45 tablet at the price of Rs. 6,599 in India. Tablet has the voice calling feature and powered by 4400 mAh battery. Tablet is listed on the company’s site with price and specifications details. iBall Slide 3G Q45 is available to purchase via the ebay online retailer site at an lower price rate of Rs. 5,327 in India. Its interesting that the Android 4.4 Kitkat device has the resolution of 1024×600 pixels display and has the 7 inch display. 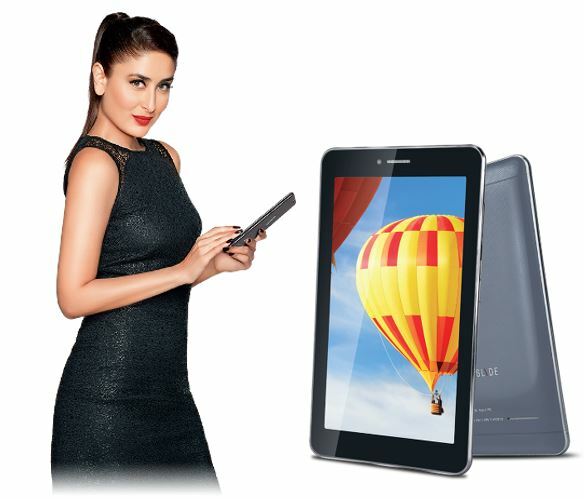 iBall Slide 3G Q45 is bundled with quad core processor clocked rate of 1.2 GHz coupled with 512 MB of RAM. Check out the detailed specifications below. Tablet device is very stylish in look and offers much more at the cheapest rate. iBall 4400 mAh powered battery offers the last longer battery backup and talk time. More interestingly it has the Wireless FM radio and inbuilt multi language keyboard. iBall Slide 3G Q45 offers Pre-loaded camera features as Panorama, Face beauty, Face detection, Smile shot, Continuous shot. Other common feature available as Wi-Fi 802.11 b\g\n, Micro USB Port, Bluetooth 4.0, USB OTG Function, USB Tethering and USB Internet.